Hi! 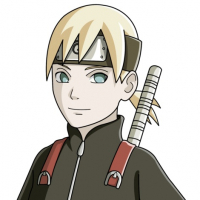 This is Bry, sales associate- junior assistant manager of Security Bank. I am here to assist you in applying for a Security Bank credit card. Apply in as fast as 10 minutes! 2. On the Required Documents portion, attach the copy of your photo-bearing government-issued ID on both Proof of Identification and Proof of Business Ownership. ITR, COE and payslips are not required UNLESS needed by underwriters for further verification. Also, I cannot attend to all the queries here dahil hindi lang credit cards ang hawak ko but also other Security Bank products. You may reach me at my personal mobile number 09507054649 (SMART) or 09150166137 (GLOBE) so I can quickly respond. No foreign transaction fees, exclusive deals and waived charges with your premium credit card. Enjoy access to the latest offers by booking and reserving via [email protected] or by calling 1800 111 011 52. Enjoy the lifestyle you want with higher credit limits. Get up to 5 cards and manage your family’s finances. Coverage on accidents and more when you book your airline ticket with your card. Earn 1 Point for every P20 spent (compared to other banks’ P30) and start redeeming online. Give it a try and get the annual fee waived for the first year. 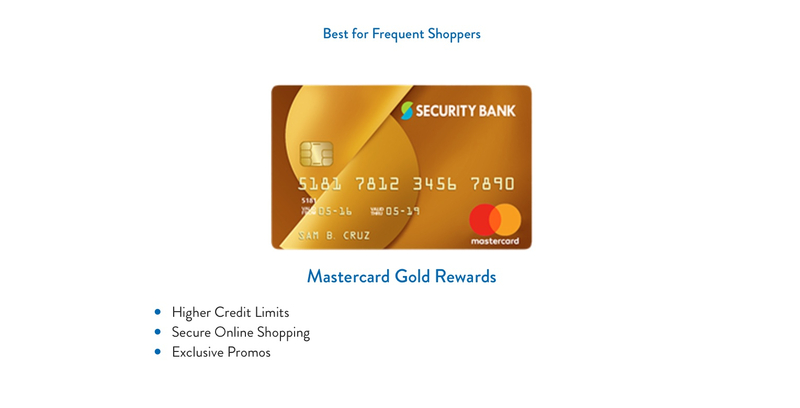 Your Mastercard comes with eSecure—a feature to set limits for online shopping. Kahapon may tumawag na SB cc agent sa cp ko, ino-offeran ako ng SB MC dahil Gold Circle member naman daw ako. Tinanong ko kung FFLAF with no spend requirement siya, 1st year lang daw waived ang AF at puede naman daw mag-request ng AF waiver sa succeeding years depende sa amount of usage. Sabi ko not necessary na kasi anim na ang ccs ko. Pero kung katulad siya ng RCBC Bankard na niregaluhan ako ng Gold Visa FFLAF with no spend requirement dahil sa good credit standing ko sa RCBC Bankard MC ko, sige tatanggapin ko. Ite-take note na lang daw 'yun ng cc agent. Curious to know where do you use your SECB card gibsonfan? I'm looking at it but can't find a reason to use it compared to the other cards so hindi na ako nagtry mag-inquire. Just sharing for those na may Fast Track secured card na gaya ko. 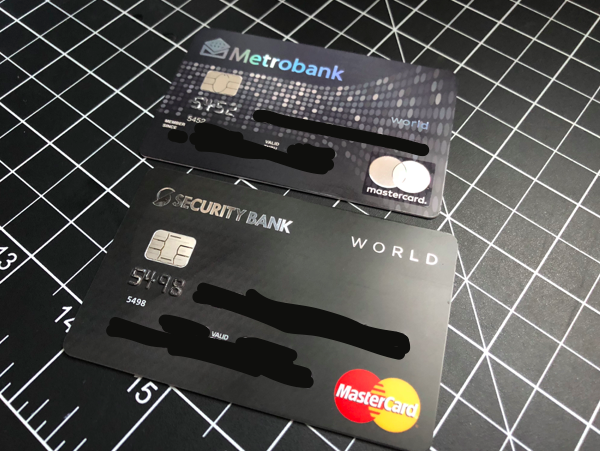 If you'd like to retain the secured card and release the hold out amount, pwede to if at least 1 year na yung Fast Track secured credit card mo. For evaluation sya depende sa history ng card mo so dapat on time ang payment at walang delays. Yun ang magiging primary basis nila for retain and release. You can then submit supporting documents if you'd like to have increase in credit limit. For less than 1 year na Fast Track secured card, pwede nang irelease ang hold out amount. The card will be cancelled, by the way, and you have to undergo the normal application process kung gusto mo ng regular SB credit card. Buti na lang at may option na tayong i-retain ang Fast Track secured card after a year of good usage. Currently using it as my overall MC/Visa card for when Amex is not supported. Honestly oo nga, lacking siya sa perks/promos/points, especially for a supposedly top tier card they "only offer to a few." Pareho lang ang kanyang points rate/redemption sa classic card nila. I wish I could get a nicer MC/Visa card to use for backup sa Amex. Top requirement ko ay dual currency ang card so medyo limited ako. More than half ng transactions ko USD so lugi ako if hindi dual. I used to do this with my BDO Visa Plat pero I realized I didn't want my 2nd card to be from the same issuer just in case something wrong happens sa system. I probably would be better off using a Citi Prestige, like you. Since usually most of my USD transactions go to my Amex naman (bihira abroad/online na walang Amex), the dual currency may not affect me so much. Ewan. Haven't made the jump, probably because of the AF. Parang sayang 12k, if secondary card ko lang siya. The unli Priority Pass is very tempting though. Plus siyempre yung drawback ko yung foreign purchases due to their high forex. Same reason why I don't use yung HSBC Premier MC din. For local spend though, the Citi Prestige and maybe even the HSBC Premier would make so much sense because of the bonus categories. Miles din kasi habol ko. Nahahassle lang ako to have to think about which card among 3/4 to use kaya at most gusto ko 2 lang pagpipilian. 4 (not counted) - EWB Plat MC, it's NAFFL but comes with Priority Pass membership so doon ko nalang kinukuha foreign lounge access. No spend on this card. Comes out acceptable sakin sa miles/rebates. I know I could maximize miles earning more if I apply for Citi Prestige or use the HSBC Premier for local spend then just used the SecB for foreign spend para iwas forex. Nahahassle lang ako isipin. Eventually, I'm hoping my Amex gets replaced with Amex Plat IDC. Unli buy one get one seats sa Cathay + unli lounge access (not just priority pass lounges) would be perfect. One day..
Ahh kaya pala! I see why you're using the card, not for earning rewards. Limited nga options for dual-billing. Sino pa ibang bank offering dual-billing? I think si PNB rin meron? At least better earn rate pero locked sa Mabuhay miles. 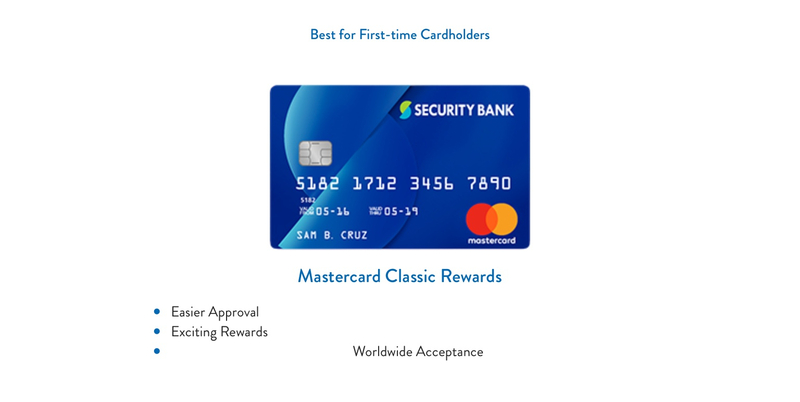 Yes about Citi Prestige for local spend then Amex for international spend, get the best of both worlds na. Yun AF naman we know how to maximize na eh para masulit and the earn rate on the bonus categories is the best I think locally? Roughly 1.6points (FFP) per 30pesos on dining, overseas and shopping spend when converted compared to P1 point per P45 sa Amex. Yun nga lang as you mentioned before, walang Delta pero meron naman Krisflyer or Asia miles as partners eh. Ganda na ng line-up mo except for SBC kasi hindi maximized yun points earn. Go IDC haha if d ko makita magkano ba AF? P35,000p.a.? Forgot to add to my lineup na secondary card ko if travel sa Asia is the BDO Diamond CUP. Maganda rates eh. Marami rin random promos sa Asian countries or mga rebate promo. Acceptance is pretty much 100% din within a lot of Asian countries. Yeah, makese sense talaga if I get Citi Prestige. I'll look into it if I can make it worth it. If sobrang dalas ko mag Priority Pass sana mababawi mo siya eh instead of paying 27 USD lagi sa ibang card. Plus their new app is very nice. Kung hindi lang sobrang lugi forex rates niya, ok na ok na sana. One day! World Elite nga ata mas common pa eh or at least may nakakapag post nun. Plat IDC never ko pa nakita may nagpost dito. And yes, mahal AF. With the unli buy 1 take 1 Cathay flights w/ no blackout dates, mababawi siya eh if you do 1-2 trips with someone. Not to mention the other perks (only card yata locally that gives you hotel status with some chains). I think okay na ako sa line up ko except Amex Plat nalang, ayaw pa ako pagbigyan - sakto sila sa spend pattern ko. Then backup naman HSBC Plat (NAFFL) and BPI Delta Plat.. d ko mabitawan ang Delta Plat dahil sa lounge access and maganda talaga exchange rates eh as backup sa Amex. Si SBC, pag nag-offer ng NAFFL ang branch I'll grab it syempre hahahaha but first bibisita muna ako. Sa totoo lang first cc ko ang security bank. disappointed lang ako kasi naman yung cash advance pin inabot na ng isang bwan simula ng irequest ko hindi pa rin na sesend sakin. ang tindi lang. countless follw ups pero nganga padin. hayyyyyyyyyyy! mabilis magpadala ng CA pin si SB nasa courier lang problema at sa 2 sb na naging card ko parehong local postal ang nagdedeliver.tapos yung huli di nadeliver kasi bago ang staff na naghahandle kaya pinuntahan ko sa postal office at dun ko nakuha 2 weeks na nakatengga. Pag linabas na ni BDO updated lounges sa Amex Plat, pwede na mabitawan si Delta Plat. Haha inuna nila Diamond Rewards na bigyan ng Pacific Club, Pagstop, etc. Sana isunod na nila. Pero actually you can let go na rin since you have Citi Prestige na. Free unli priority pass and under naman ng PP yung Pacific Club. same goes for the Pagstop lounge sa T1, may PP access din. Si Security Bank parang instead of offering new ones, tinanggal nalang nila completely si lounge access. Parang hindi tuloy Elite card. Medyo lamang pa si Delta Plat pagdating sa access sa Pacific Club kasi unli visit siya including supplementary... si Citi up to 4 guests per year lang eh and no unli PP naman ang supplementary so better to save those for other places na. Ahh nice meron na pala access doon ang Diamond ni BDO na, hopefully gumapang na nga sa Plat. Dagdag pa ay parang hindi gaano kalakas ang online platform for cc. Sa accounts maganda siya eh. Maganda na marami kang pwedeng request online like AF Waiver. Pero ang hindi maganda ay hindi real time binabawas sa app mo yung transactions mo kaya hindi up to ang nakalagay na available limit sa app. Nababawas siya some of time before posting kaya nakakalito. I like looking at my updated available limit to eye ball kung may wrong charges. Tas yung posting mismo ng transactions to your account siguro usually nasa 4-7 days sakin. Mas gusto ko yung halos 1-2 days posted na para organized eh (or Citi na real time mong kita lahat). But I guess this could be a good thing for people na mahilig magswipe near statement date para umabot sa next SOA. Sabi kasi sa 2go nila inendorse kaya hindi kona lang tlga alam :( salamat sa pag sagot arms23.